With only five months left in office, President Obama's team is making sure it catches up with every tech fad it can. First Lady Michelle Obama is on Snapchat. Obama is @POTUS on Twitter. 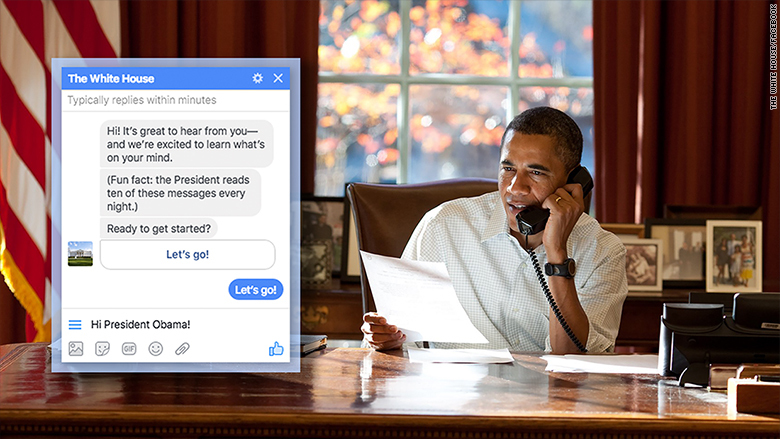 And now there's a Facebook (FB) Messenger bot for communicating with the president himself. Announced on Wednesday, the new bot keeps it simple. It doesn't chat to you in the voice of Obama or partake in casual banter. 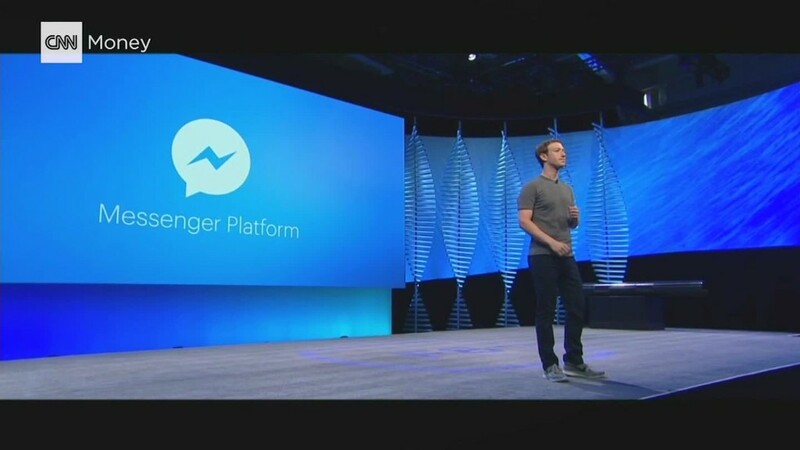 It's more like a modern version of Microsoft's Clippy. It sees you are writing a letter and would like to help you with that. To access it, you can go to the White House Facebook page and click Message, or go directly to m.me/whitehouse. When you're satisfied with your final note, it will send it off to the White House. Every night, Obama reads 10 letters chosen by his staff, whether they're complimentary, touching or angry. It's become a trademark of his tenure. He replies to three or four a night, sometimes with a handwritten note. Other times he uses the letters as a jumping off point to look into policies. The White House already receives hundreds of thousands of missives every single day. Many arrive the old fashioned way, via the US Postal Service, but others are sent by email, through a Whitehouse.gov online form, and even via fax. There's a White House Office of Correspondence dedicated to sorting through it all. The Facebook bot was announced in a Medium post, naturally, by White House Chief Digital Officer Jason Goldman. "Not only do these letters help me to stay in touch with the people who sent me here, or the people who voted against me, but a lot of times they identify problems that might not have percolated up through the various agencies and bureaucracies," Obama said in a quote on the post.